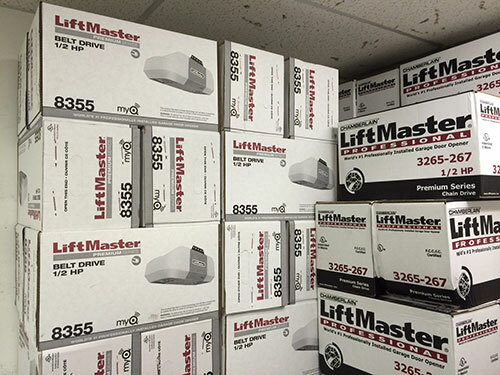 If your garage door opener is old and you can't find your garage door manual, you'd be surprised by the potentials of modern openers. They are powerful, reliable and they're cost affordable. Of course, you don't have to buy a new unit without examining your options first and taking into account your personal criteria and the needs of your mechanism. You shouldn't be ashamed to ask anything you don't understand. You are not an expert and, therefore, you are not obliged to have knowledge of the technical terms, the differentiations among different models and the requirements of your system. Different prices are usually indicators of the differences. You need to ask what is included in the most expensive models because you don't want to pay for features you don't really need. The power of openers is determined by the horsepower of the garage door motors and you must be extremely careful when choosing the unit. It must be able to handle the heavy weight of the door and if you replace the panel, you need to make sure the existing opener is appropriate for the weight of the new door. Today, the cheapest opener would include sensors with the reverse mechanism since it is obligatory since 1993. There are multiple sensors you can add and the price will go definitely up but they will make your house safer. If there are frequent power-cuts in your area, you should get openers with a backup battery system. Why should you keep pulling the emergency release cord and opening the door manually when you can enjoy automatic operation with batteries at least for a few hours! If you can afford expensive garage door openers, you should get the most modern and powerful ones because you never know what tomorrow brings. Personal needs change and you must invest in your security and safety from day one.